The purpose of this paper is to understand the opinion leadership and the potential of opinion leadership. This study focused on the state of opinion leadership activities, its dynamics, and its types. Marketer, researchers identify opinion leaders by such methods as self-designation, key informants, the socio metric method, and the objective method. Studies of opinion leadership indicate that this phenomenon tends to be product specific; that is, individuals “specialize” in a product or product category in which they are highly interested. An opinion leader for one product category may be an opinion receiver for another. The opinion leadership process usually takes place among friends, neighbors, and work associates who have frequent physical proximity and thus, have ample opportunity to hold informal product-related conversations. The diffusion process and the adoption process are two closely related concepts concerned with the acceptance of new products by consumers. The diffusion process is the macro concepts and the adoption process is the micro concepts. Opinion leadership (word of mouth communication) is the process which one person (the opinion leader) informally influences the action or attribute of others who may be opinion seekers or opinion recipients. The key characteristic of the influence is that it is interpersonal and informal and takes place between two or more people none of whom represents a commercial selling source that would gain directly from the sale of something word of mouth implies personal or face to face communication although it may also take place in a telephone conversation or within the context of e-mail or a chat group on the internet. One of the parties in a word of mouth encounter usually offers advice or information about a product or service, such as which of several brands is best or how a particular product may be used. Market researcher identify opinion leaders by such methods as self designation key informants the socio metric method, and the objective method. Studies of opinion leadership indicate that this phenomenon tends to be product category in which they are highly interested. An opinion leader for one product category may be an opinion receiver for another. 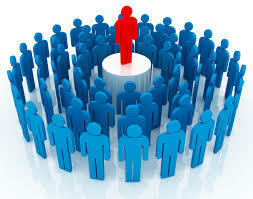 There are 3 types of opinion leadership, opinion leader, opinion seekers and opinion recipients. The progression by which individual (the opinion leader) informally influences the expenditure proceedings or thoughts of others who may be opinion seekers or opinion recipients. Generally, Opinion leadership has a keen sense of knowledge and interest in the particular product or service area – perceived as having “expert power” and often receives information via non-personal sources – often reads magazines, special-interest publications or search the Internet for further information. In fact, nowadays many well-recognized bloggers also act as an opinion leader. They write about product review, giving advice to their readers and answer reader comments or questions. As a consequence, I believe that blogger will become one of the significant gears in marketing and advertising. Opinion leaders are highly credible sources of information because they usually are perceived as objective concerning the product or service information or advice they dispense. Their intentions are perceived as being in the best interests of the opinion recipients because they receive no compensation for the advice and apparently have no “ax to grind”. Which of several brands is best? How to best use a specific product? Who provides the best service? Opinion leadership tend to be category specific; that is, opinion leaders often “specialize” in certain product categories about which they offer information and advice. When other product categories are discussed, however, they are just as likely to reverse their roles and become opinion receivers. An opinion leader may also be influenced by an opinion receiver as the result of a product-related conversation. For example; a person may tell a friend about a favorite hotel gateway in Cox’s Bazaar. In response to comments from the opinion receiver, come to realize that the hotel is too small, too isolated, and offers vacationers fewer amenities that other hotels. Buy products that have the approval of others, thereby ensuring acceptance. It’s a macro process by which the acceptance of an innovation is spread by communication to members of a social system over a period of time. The degree to which potential customers perceive a new product as superior to existing substitutes is its relative advantage. The degree to which potential consumers feel a new product is consistent with their present needs, values and practices is a measure of its compatibility. The degree to which a new product is difficult to understand or use, affects product acceptance. Clearly, the easier it is to understand and use a product, the more likely it is to be accepted. It is refers to the degree to which a new product is capable of being tried on a limited basis. The greater the opportunity to try a new product, the easier it is for consumers to evaluate it and ultimately adopt it. Observability is the ease with which a product’s benefits or attributes can be observed, imagined, or described to potential consumers. The results of these analyses provide partial support for the involvement-> opinion leadership-> word-of-mouth model implied in the literature. Involvement does appear to be an important antecedent to opinion leadership, but it is necessary to specify that only enduring involvement results in opinion leadership. Situational involvement bears no relationship at all with opinion leadership. Likewise, the implicit relationship between opinion leadership and word-of-mouth is confirmed. It is not surprising that the relationship between opinion leadership and word-of-mouth is strongest for advice-giving, the form of word-of-mouth traditionally linked with opinion leadership. In these respects, the implicit model is correct. It also indicates that the implicit model inadequately represents word-of-mouth communication. Word-of-mouth results from situational involvement not just from opinion leadership. Situational involvement is especially associated with personal experience word-of-mouth. For at least a brief period, consumers seem to engage in product-related conversations after the purchase of new automobile because of the excitement generated by the new item (Dichter 1966) or possible cognitive dissonance (Menasco and Hawkins 1978). This arousal dissipates over the course of time, however, and product-related word-of-mouth declines as well.